This tour has been carefully designed for travelers that wish to get the most out of their stay here in Alsace. 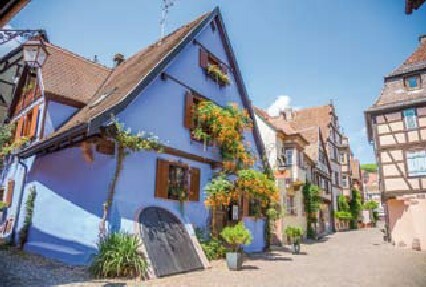 The Pearls of Alsace tour combines what we believe are the most essential visits that one must make while in the region. It includes the visits of towns, monuments, small traditional villages, a wine tasting session and historical landmarks. Then depart for the most beautiful village of Eguisheim. Surrounded by vineyards, the narrow and concentric streets highlight the architectural merits of its half-timbered houses, lovingly decorated with flowers. After a walk in the village participate in a wine tasting session to discover the world renowned Alsace wines in a typical winery. Your tour then continues on to the beautiful town of Riquewihr. Surrounded by ramparts, the village has been very fortunate to survive war and destruction. Its tiny streets, fortified walls and old houses have preserved their 16C splendor virtually intact, making for remarkable architectural harmony. Free time for personal discovery and lunch. Full description available on website.